Demo Rath R1 Bb Tenor Trombone. 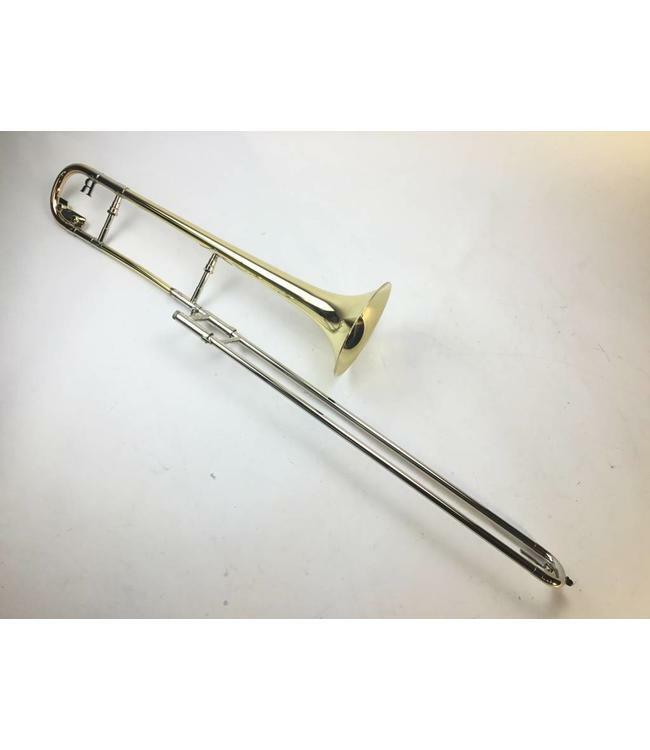 This trombone features a .500-.510 dual bore nickel silver hand slide with a regular R1 leadpipe, a 7.5" standard weight yellow brass bell, a yellow brass R1 goose neck, and a red brass main tuning slide. Instrument is in great condition apart from some fine scratching in the bell flare and the hand slide. There is a small ding in the bell flare and a spot of acid bleed on the goose neck.